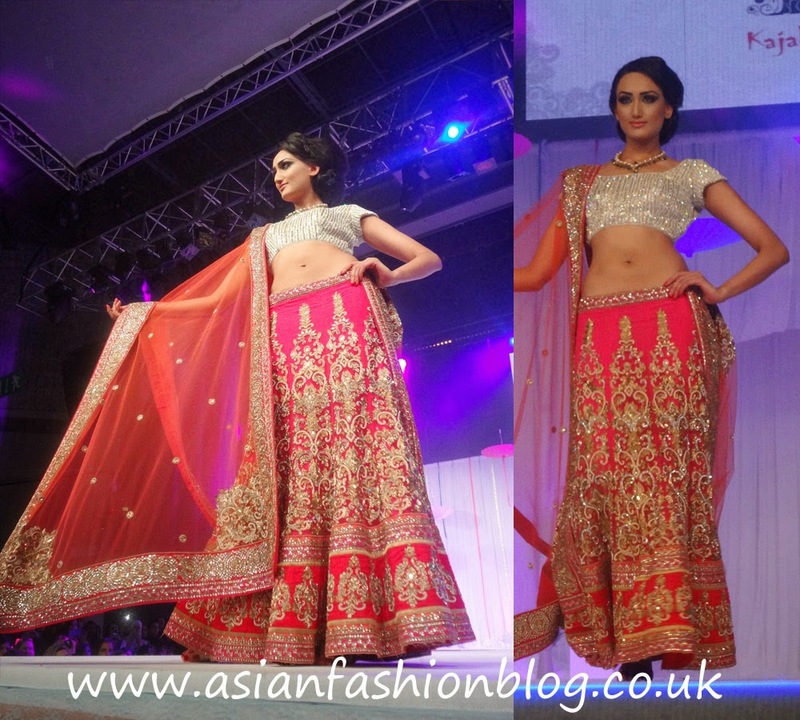 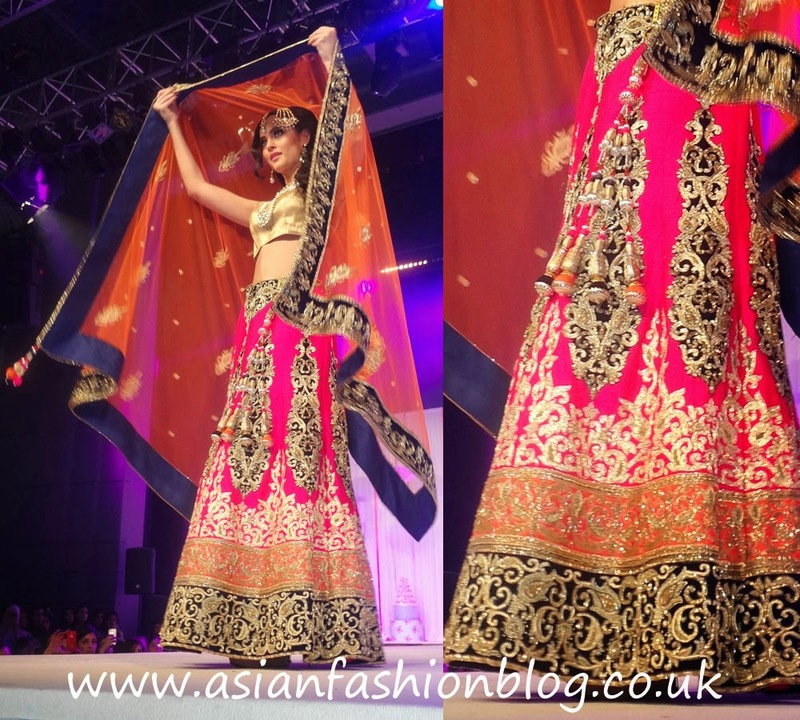 Another of the collections which made an impression on me at the 2014 Asian Bride Live show in Birmingham was Kajal's Couture, by designer Kajal Patel. 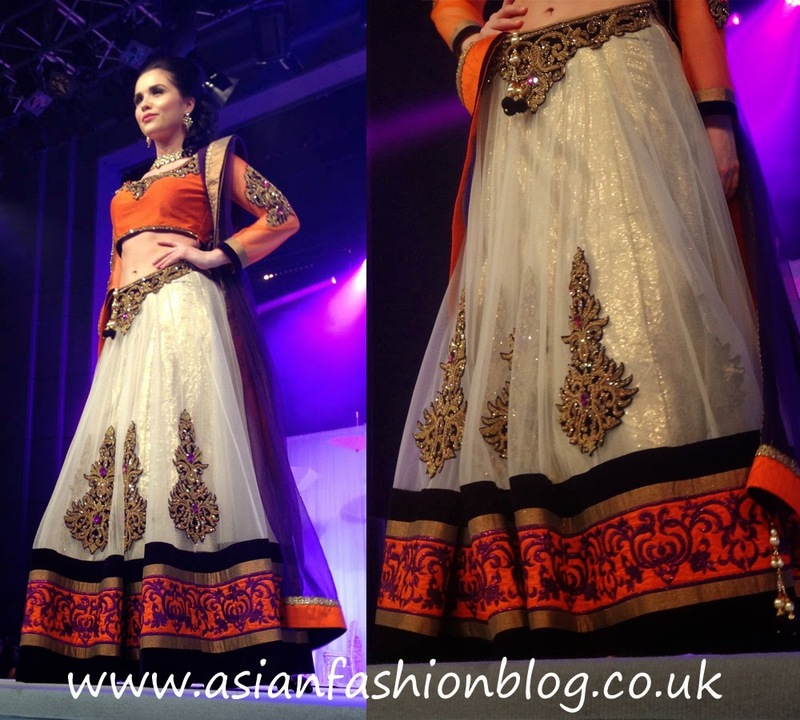 They started with some white and gold floor length dresses! 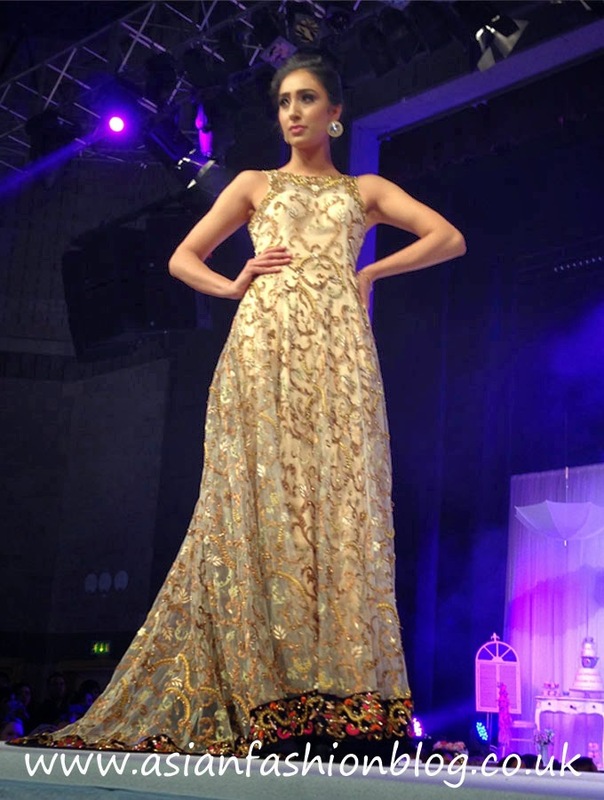 This gold and blue dress really shone on the catwalk, it's not something I'd wear personally but I like the colour combination and could definitely see this being worn to a glitzy evening function! 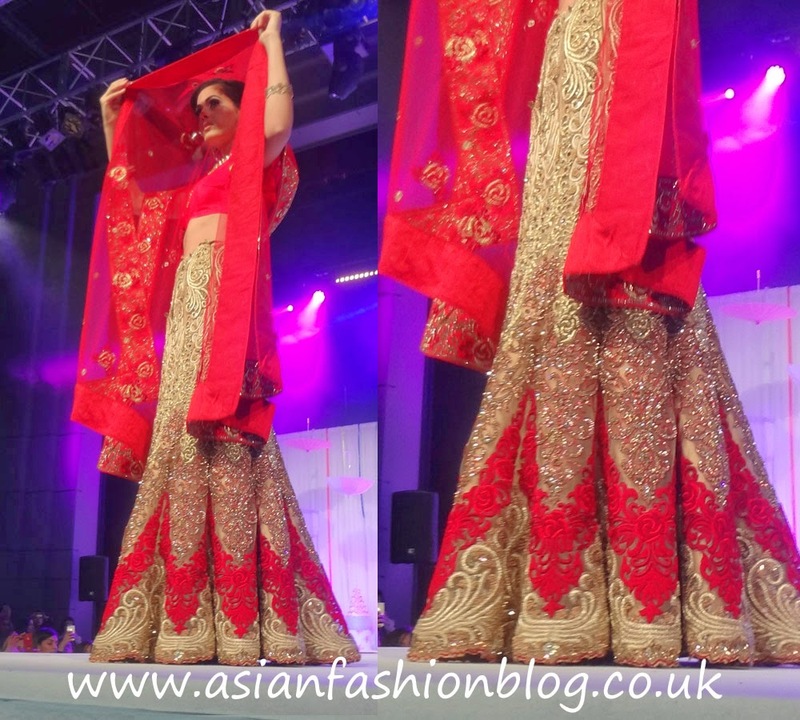 Next up was this red and blue corset-style lehnga which you might recognise from the Jan/Feb 2014 Cover of Asian Bride Magazine.